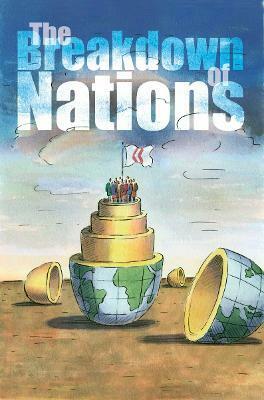 In The Breakdown of Nations Leopold Kohr shows that, throughout history, people living in small states are happier, more peaceful, more creative and more prosperous. Virtually all our political and social problems would be greatly diminished if the world's major countries were to dissolve back into the small states from which they sprang. Rather than making ever-larger political unions, in the belief that this will bring peace and security, we should minimize the aggregation of power by returning to a patchwork of small, relatively powerless states, where leaders are accessible to and responsive to the people. Leopold Kohr, an economist by profesion, was the originator of the concept of 'the human scale', an idea later popularized by E.F. Schumacher in Small is Beautiful. Leopold Kohr was was the originator of the concept of 'the human scale', an idea later popularised by his friend E. F. Schumacher, notably in the best-selling book Small is Beautiful. Born near Salzburg in 1909, Kohr was an economist by profession, holding academic positions at many universities, including Professor of Economics and Public Administration at the University of Puerto Rico; he also held visiting Professorships at Swansea, Cambridge, Mexico City and Salzburg. His other books include Development Without Aid, The Over-Developed Nations, Freedom From Government, and Is Wales Viable?. He died in 1994.